This poor dog’s heart broke when his owners abandoned him. But now, he’s finally learning how to love again. If you consider welcoming a dog in your life you have to be certain it’s going to be forever. It’s truly heartbreaking how there are people out there who decide to ditch their pets when they get bored of taking care of them. You should have in mind that animals have feelings as well and being abandoned affects their whole life. 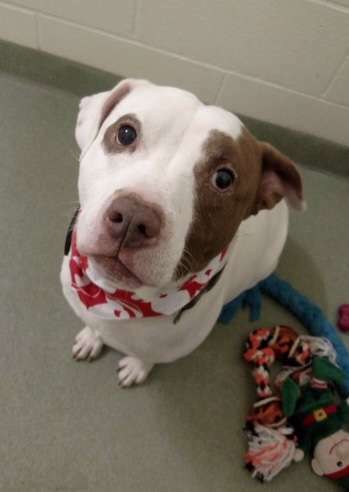 Capone is a seven-year-old Staffordshire Terrier mix who knows what it feels like to be replaced with another pet all too well. 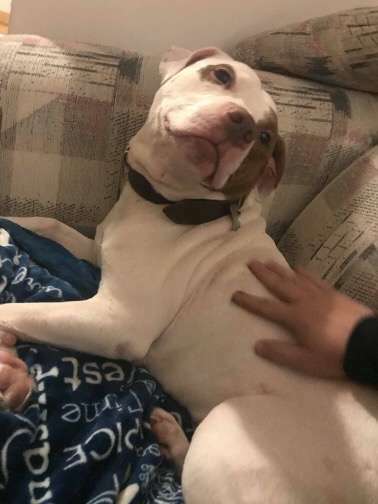 After he returned to the Ionia County Animal Shelter, this poor creature was completely changed and didn’t resemble the happy dog he once was. 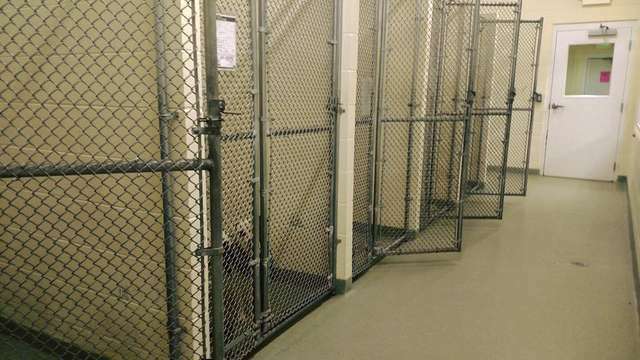 Above all, he was the last dog at the shelter and looking at him being all alone was a sad sight. Capone was brought back to the shelter and was all sad and depressed. The staff remembered how he used to run around and wagged his tail whenever he would see a person or a furry friend. But now he had lost the spark in his eyes and wasn’t willing to interact with anyone. He even stopped eating, which made the shelter employees very concerned for his health. The poor boy wondered whether his new family would love him the way he was ready to love them. He had a lot to give to humans who would take good care of him and give him a home. 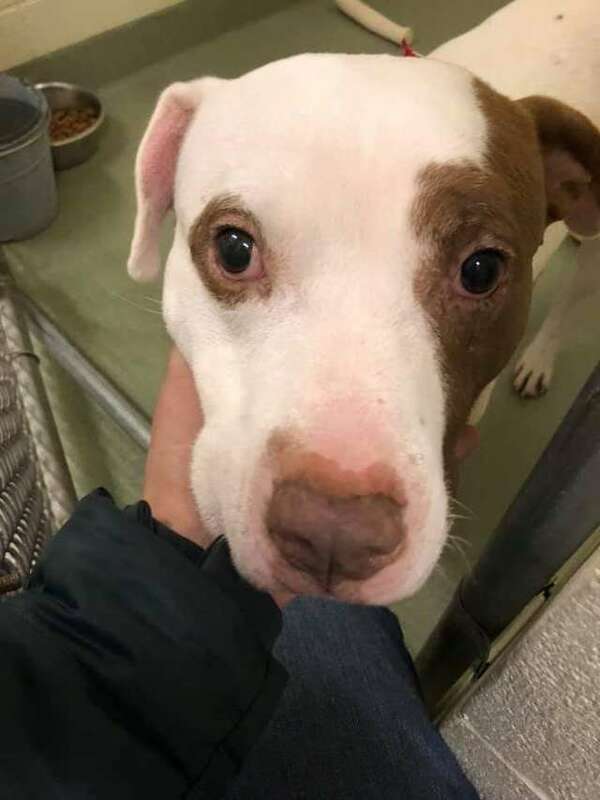 Everyone was aware how they had to do their best to find this pup the home he desperately needed. This time they wanted to place him in a family where he would be the only pet. 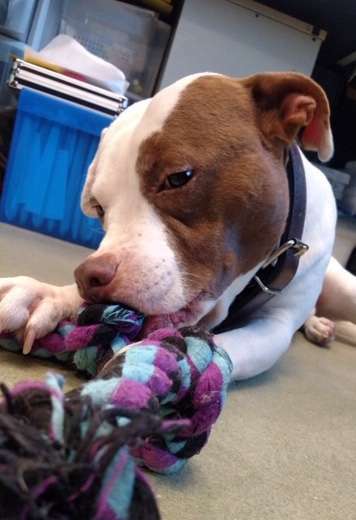 They came up with the brilliant idea of sharing Capone’s photo and life story on their Facebook page, which resulted in many potential adopters who were eager to meet this sweet dog. However, this particular couple fell in love with Capone instantly and they really wanted to have him. After the staff arranged a meeting, Joe and Ashlee got to the shelter and were ready to impress Capone by giving him a personalized tag with his name written on it. The staff was a bit nervous because they knew how Capone was not trusting humans, but once he saw this couple he immediately ran towards them. It was definitely love at first sight. That was one happy moment and a beginning to a new and everlasting friendship between these two people and lovely Capone. 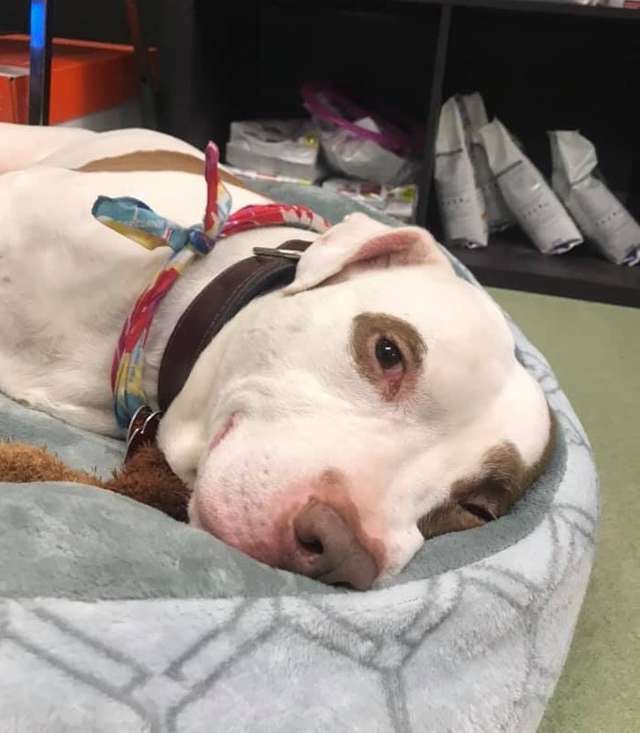 The loneliest dog at the shelter turned into the most loved one and we can’t be happier. 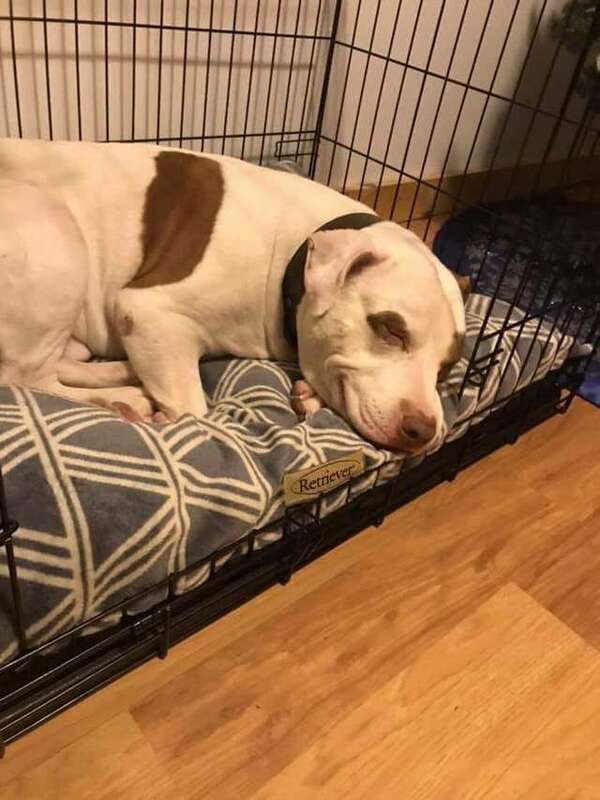 His new parents snapped a photo of him smiling and it has to be the best photo you’ll see today. So I guess it’s true when they say how good things come to those who wait.